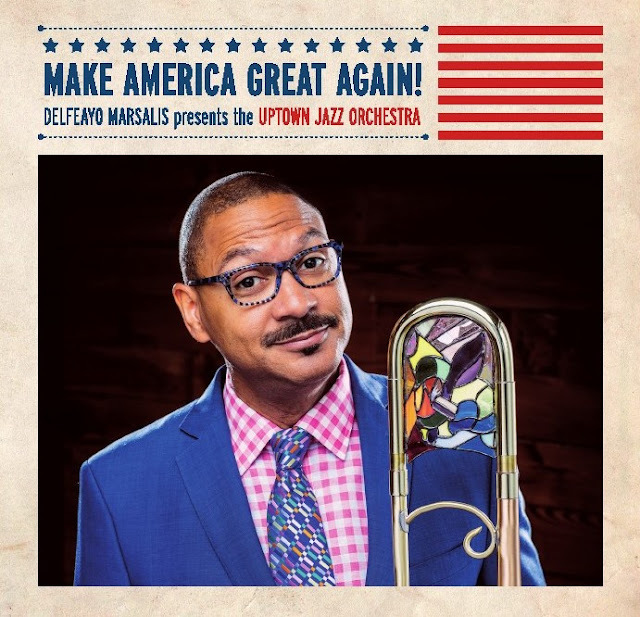 In the midst of one of the most bizarre presidential elections the country has ever seen, Delfeayo Marsalis and the Uptown Jazz Orchestra do their part to Make America Great Again! 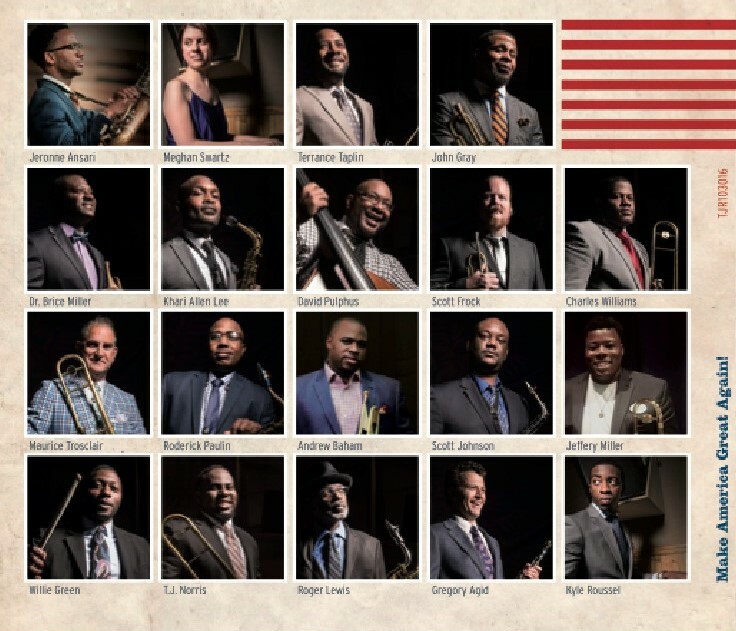 On their debut recording, due out September 30 on Troubadour Jass Records, the trombonist/composer and his rollicking big band take back that tarnished slogan and run it up the flagpole of great American music, tracing its sounds from its African roots through the streets of New Orleans to the country as a whole. 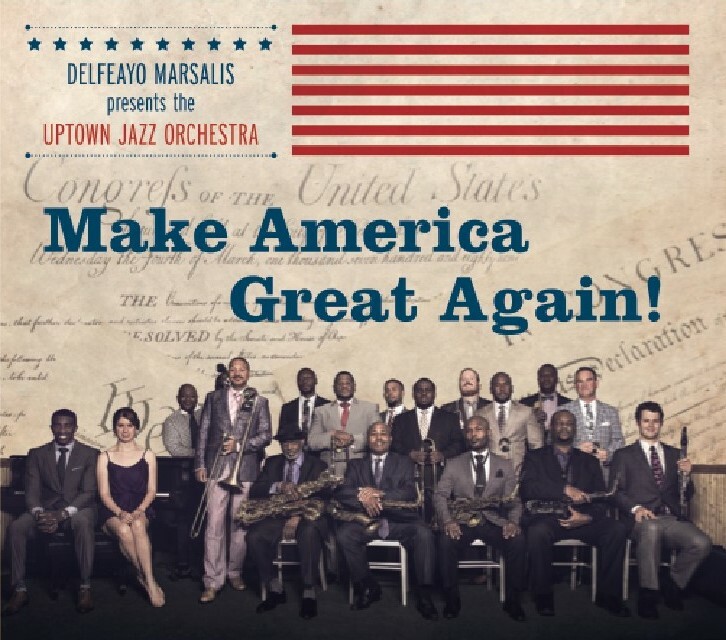 Under the direction of NEA Jazz Master Delfeayo Marsalis, the Uptown Jazz Orchestra adds some home-cooked seasoning to original material and jazz classics that pay homage to America’s great cultural traditions—blues, swing, groove and good old-fashioned Southern hospitality. 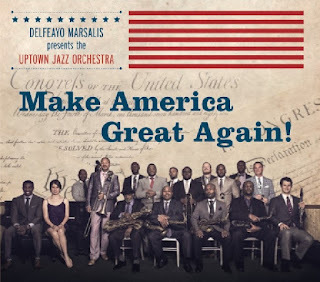 Marsalis’ tongue-in-cheek appropriation of a certain blustery candidate’s motto hints at both the political and social consciousness of the album as well as its sense of barbed merriment and acid-tongued eloquence. 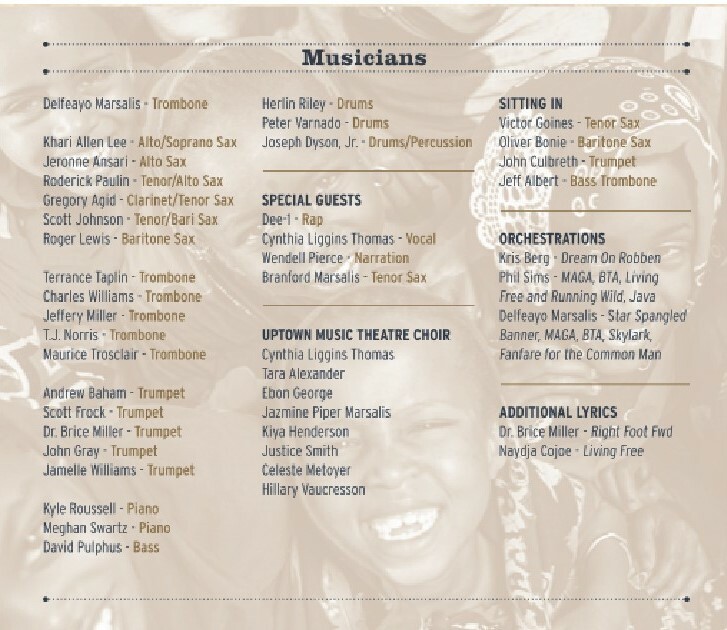 Along the way, actor Wendell Pierce and Dirty Dozen Brass Band co-founder Roger Lewis join a host of the Crescent City’s finest young players to provide an infectious, finger-snapping state of the musical union. That message is spelled out in the pointed monologue of the album’s title track, read with wry humor by Treme star Wendell Pierce, a New Orleans native and high school associate of Marsalis. The bandleader wrote the text matching the dry wit of the music, which the UJO improvised based on an audience member shouting out the title when prompted for a theme. That sort of spontaneous composition – a challenge for a small band, let alone a 20-piece ensemble – is just one highlight of the UJO’s regular Wednesday night residency at Snug Harbor, the world-renowned jazz club on bustling Frenchmen Street, where the band has been developing its sound and rapport since 2010. 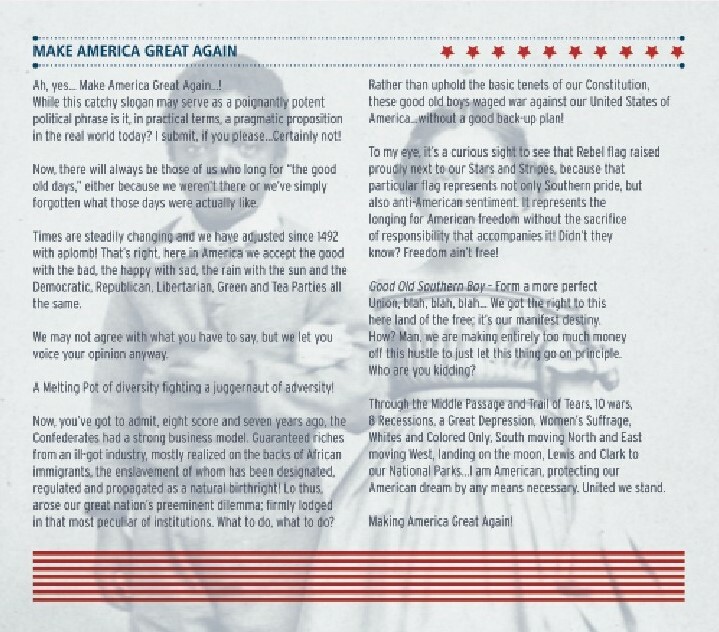 In keeping with that mission, the repertoire on Make America Great Again! 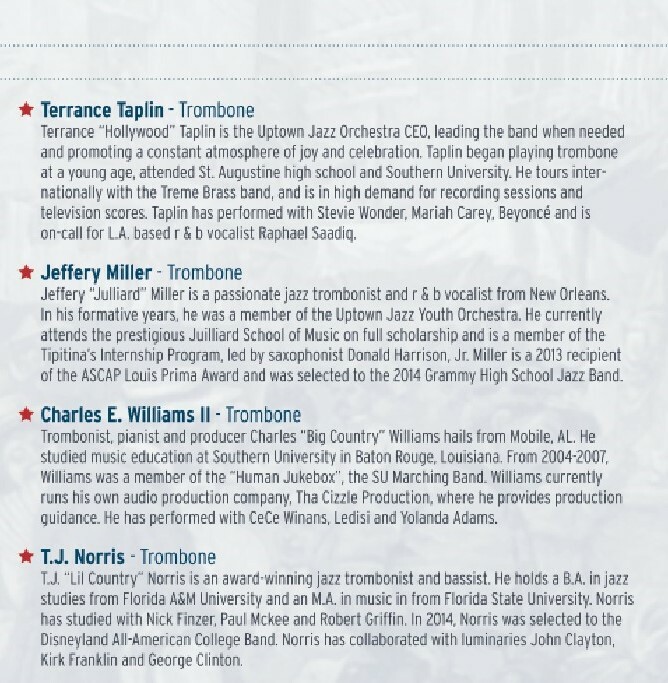 ranges from a New Orleans classic like Rebirth Brass Band’s “Put Your Right Foot Forward” or the Dirty Dozen Brass Band’s “Snowball” – featuring UJO elder statesman Roger Lewis with a rousing baritone sax solo – to the deep swing of “Second Line,” Duke Ellington’s interpretation of that sound, or Benny Carter’s toe-tapping “Symphony in Riffs.” The band also marries that swing sound with a church influence, as on their Basie-influenced rendition of the standard “All of Me” with Kyle Roussel’s sanctified piano. "Roll the Dice on Life"
It’s fun and it’s free! Sugar Loaf will be hosting “Second Saturday”, with shops extending hours 5-7:00 PM. Many Sugar Loaf stores will offer an array of refreshments, art exhibitions, jewelry demos, slide shows, sales and more. 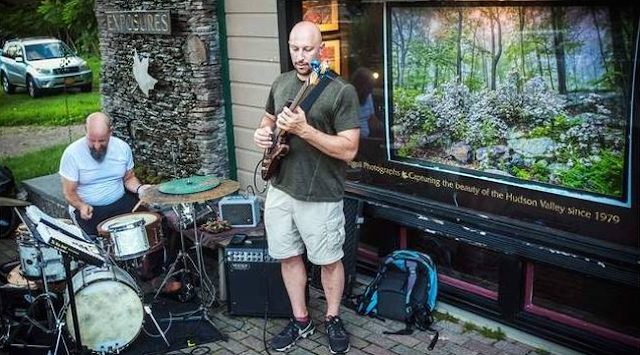 The shops and galleries in the arts and crafts village of Sugar Loaf are welcoming the community to a monthly “meet and greet” evening. Each Second Saturday of the month will feature different artists and shops sharing their unique talents with the community. Come join the Sugar Loaf Merchants for creativity, fun, inspiration, art, and more. Full Of Raw Energy, This Dynamic, Guitar-Driven Double Album Features Vocals By Miles Griffith Jazz-Fusion guitarist, Brian Kastan introduces his newest CD, Roll the Dice on Life. This double album showcases dynamic original compositions by Brian Kastan. The goal of this album is to balance the integrity of composed songs with the fierce energy activated by free improvisation. This album produces high energy jazz-fusion between Brian Kastan’s raw yet playful electric guitar, Miles Griffith’s rich provocative vocals, bassist Steve Rust’s artful sound pallet, and Peter O’Brien’s rhythmic and dynamic play on drums—All of which take the listener on a journey to new, uncharted musical territory. 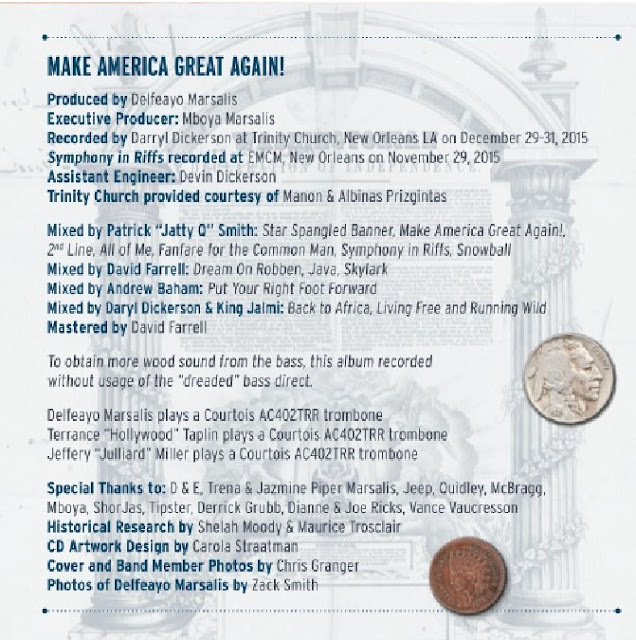 What is most exciting about this double album is Brian Kastan’s compositional style and improvisational approach to this recording. All of the musicians are constantly pushing, pulling, and weaving the compositions to create music that articulates the feeling of always evolving. 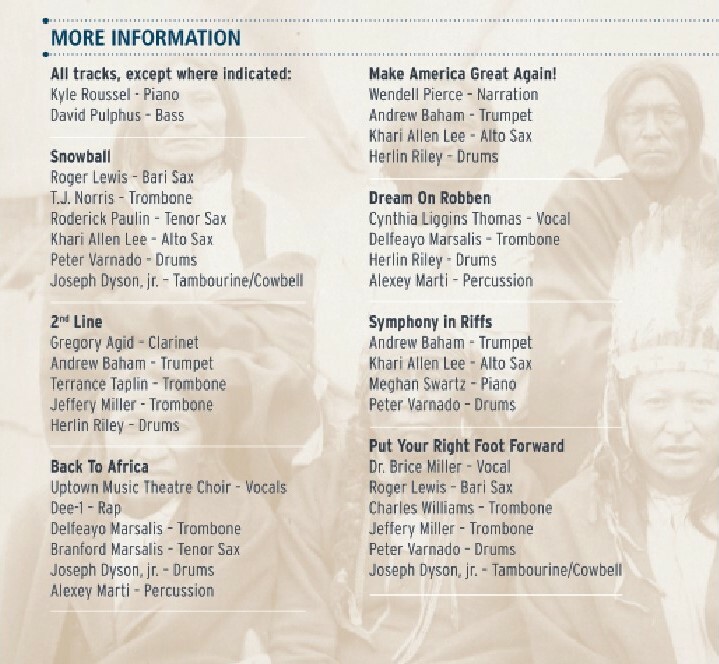 Disc 1 reveals Brian Kastan’s compositional range—from catchy odd metered grooves, a beautiful ballad, continuing on to jazz funk fusion and dark long melodies. 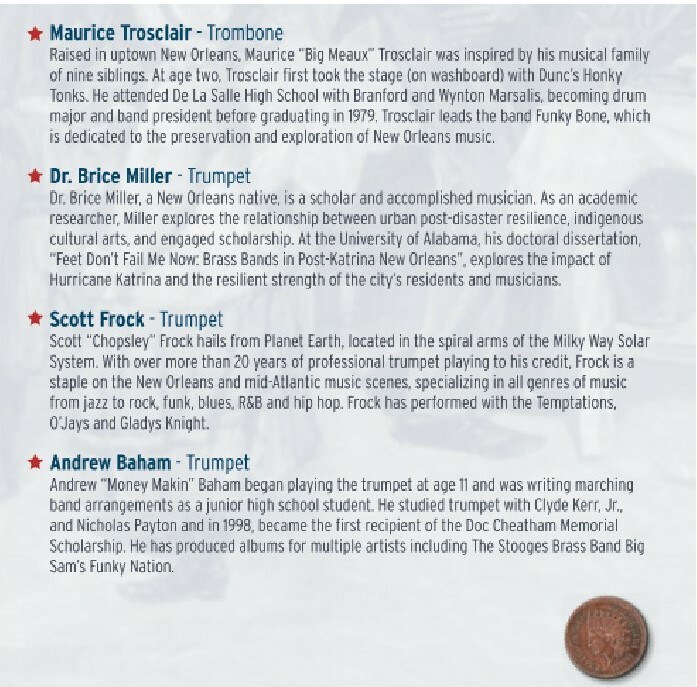 With the addition of the powerful song, Rat Attack written by Miles Griffith, this disc explores the ingenuity of Brian Kastan’s goal; To intertwine compositions with improvisation. Disc 2 focuses on experiencing the spontaneous musical explosion of pure improvisation. The unique creativity revealed by these outstanding musicians shows the genius of the intentional uncontrolled musical environment. 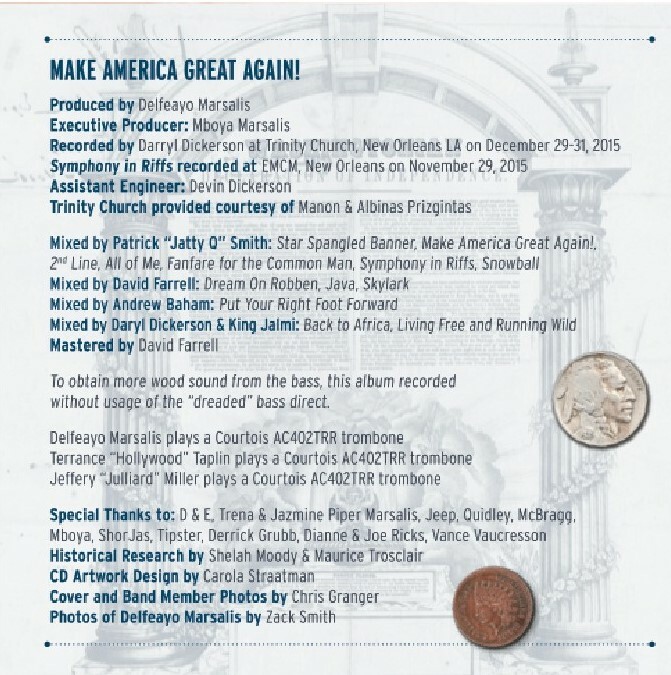 This second disc features two political and racially charged songs called Black Lives Matter and Black Lives Matter 2 recognizing the current events happening in the United States in 2016. With this combination of experience, creativity, and talent, it’s no surprise that this group of players has come together to produce such an engaging, high-energy double album. Roll the Dice on Life showcases their skills—and their musical telepathy—in a way that is ultimately satisfying and exciting for both the players and listeners. 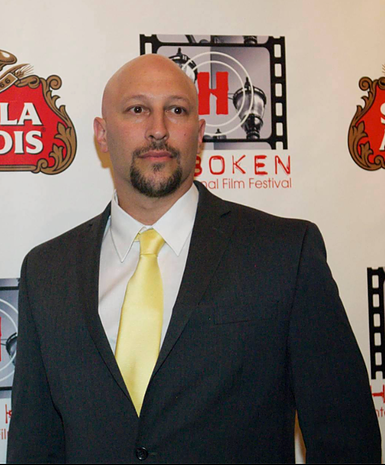 Brian Kastan plays electric/acoustic guitar, electric bass, and composes soundtracks for T.V. and Film. Played guitar for Nonsuch Record Label, Rhys Cantham's "The Grissom Grail", Recorded Live at Lincoln Center in 2010. He is an award winning nature photographer with gallery shows in NYC, Europe and Asia. He holds a Bachelor's degree in both Jazz Performance and Psychology from Suny New Paltz, a Masters Degree in Music from Brooklyn College, Brian is a Certified Clinical Hypnotist, and has co-authored a book called “Target Talking” with wife and artist Maria Hartmann Kastan. 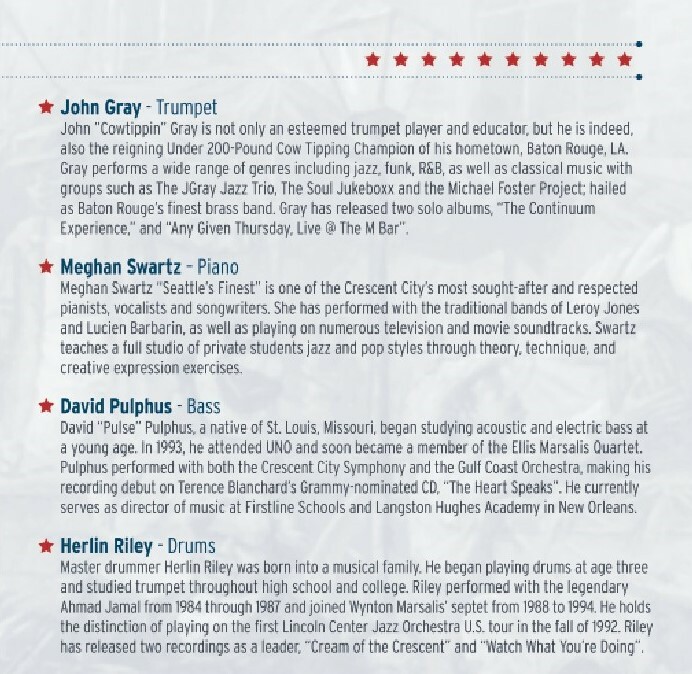 Miles Griffith, vocalist/composer, has been a vital member of the New York jazz scene for more than two decades. 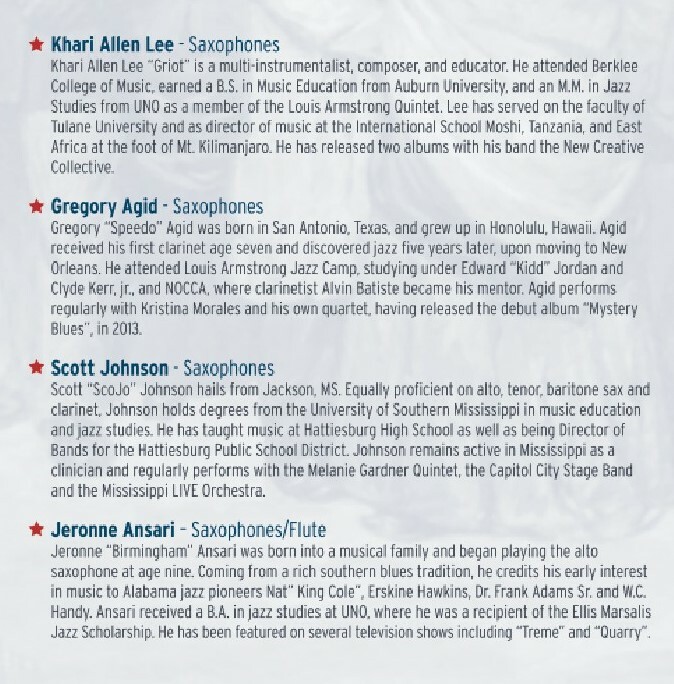 A very short list of who he’s played with includes NEA Jazz Masters Ron Carter, Wynton Marsalis, Jon Hendricks, Max Roach, Toshiko Akioshi, Jimmy Heath and Barry Harris; venerable icons including Jimmy Heath, Sir Roland Hanna, and Reggie Workman; Cassandra Wilson, Carl Allen, and T.S. Monk; Lisa Sokolov, Jamaaladeen Tacuma, and Jay Clayton. 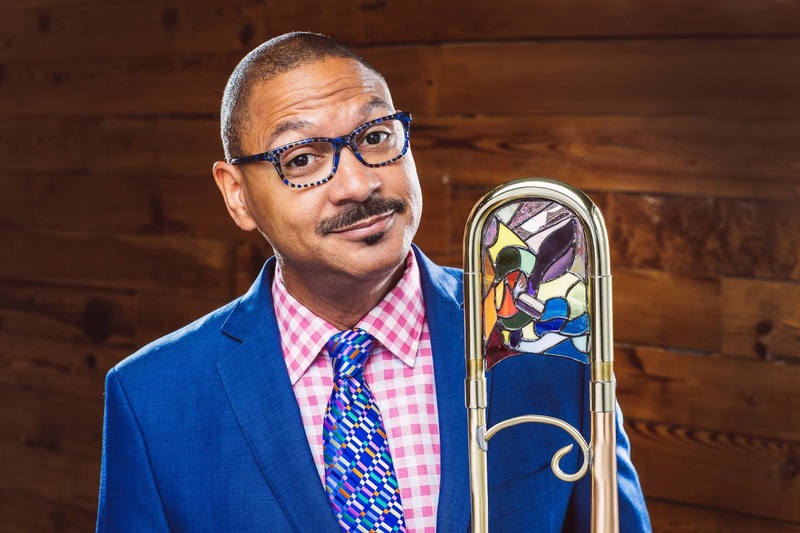 Miles Griffith is also a notable band leader whose vocal range and unique musical insight make him a highly recognized composer and singer of his time. Steve Rust, bassist/composer knows his way around a concert hall, orchestra pit, and recording studio. 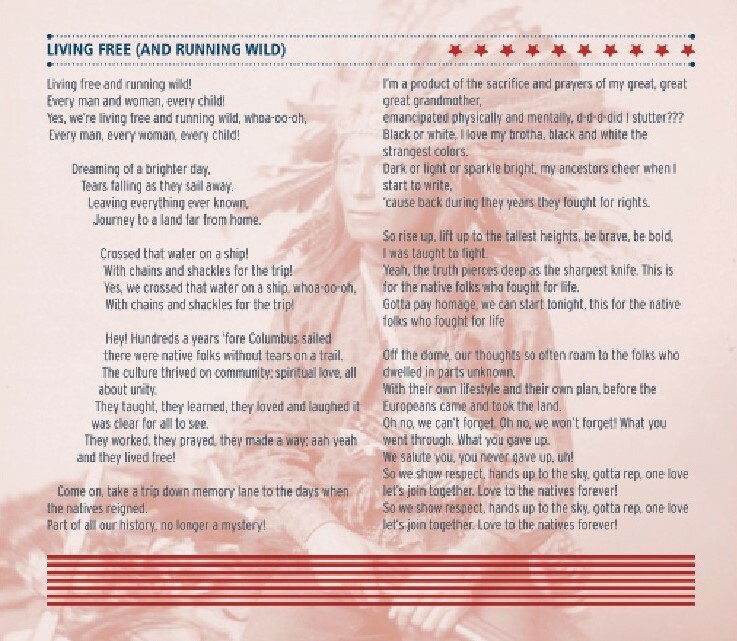 He’s written for both film and theater, has collaborated with visual artists, and has appeared on dozens of albums. Steve, comfortable in virtually every musical genre, has accompanied everyone from Anthony Braxton to Eileen Fulton, from Jay Unger to Sir James Galway to Hubert Laws, Paul Simon, Natalie Merchant, and Baikida Carroll. Steve is a well known bass player in the style of sound painting. 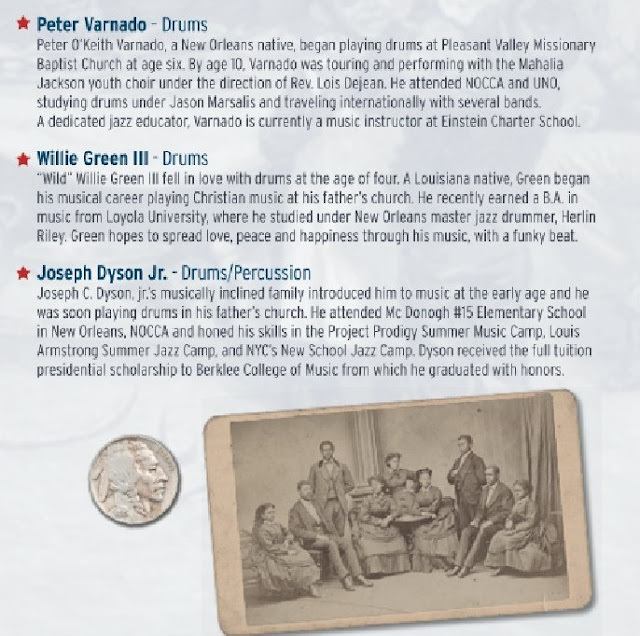 Peter O’Brien, drummer, has played with artists such as, McCoy Tyner, Dave Holland, Eric Person, Dr.Lonnie Smith.He has toured with legendary musicians including organist Brother Jack McDuff, Edgar Winter, and Roy Buchanan, before joining guitarist John Hall and his hit band Orleans. Besides maintaining a busy schedule appearing at major music festival/clubs across the country, and around the world, he also teaches at Bard College as well as privately, and is an in-demand studio musician. 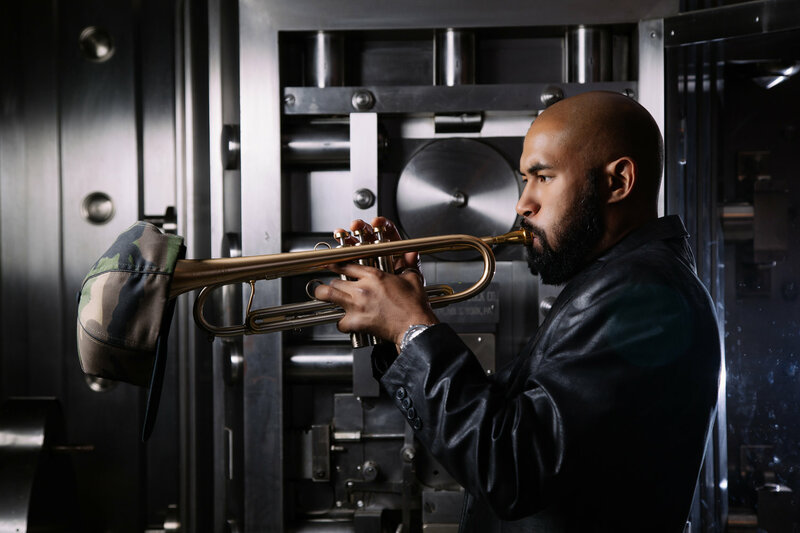 Recognized for his musical versatility and distinctly robust sound, emerging trumpeter, arranger, and composer, Al Strong’s debut album LoveStrong Vol. 1 is unparalleled in its ability to evoke a range of emotions. 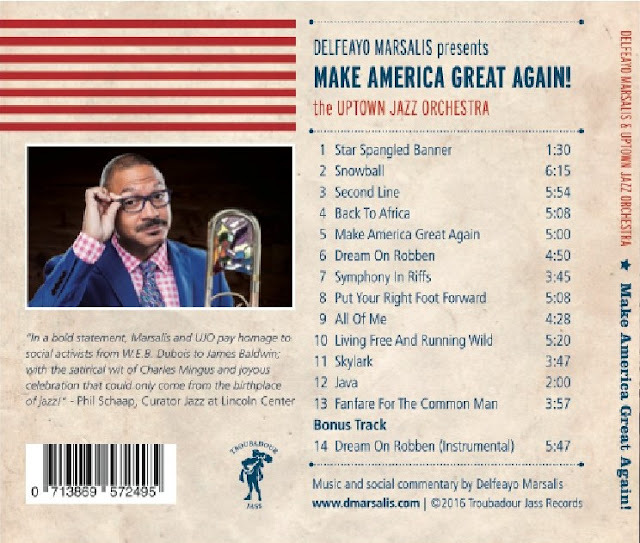 This collection of both original compositions and contemporary renditions of jazz standards incorporates progressive jazz, soul, gospel, and afro-beat grooves, displaying Strong’s intuitive musical command. Categorically, Strong invites the listenership to journey with him through the music, a journey that encompasses stories of adversity, triumph, mystery, and love. Strong’s desire to share his music with the world began with a modest look into himself and the art being created around him. Realizing the hauntingly familiar melodies in his head would not let him rest until fully manifested, he knew LoveStrong had to be birthed. This tantalizing piece of art is a sonic breath of fresh air, offering an album reminiscent of the old ways, a work requiring the audience only to hit play. From top to bottom one immediately feels the warmth of this recording, with no inclination to stray from the designated playlist. Though firmly rooted in the tradition of greats like Louis Armstrong and Count Basie, Strong and his gathering of musicians achieve a type of lush interplay that only comes from truly being in the moment. LoveStrong Vol. 1 features 10 tracks, including 4 intrepid arrangements of jazz standards and 6 original compositions. “Getaway 9,” an original tune and delightfully up-tempo journey that tells the story of being on a road trip with your closest friends, while capturing all of the conversation that ensues. The dialogue amongst instruments draws the audience in for more detail, but almost immediately the tenor saxophone interjects in the conversation. Next, Strong takes a nuanced approach to his blowing, stretching the time and creating tension and release with the ensemble. One of America’s most beloved nursery rhymes comes to life with Strong’s rendition of “The Itsy Bitsy Spider.” The opening statement begins with a small children’s chorus singing the melody in what can appear as free form. The flugelhorn and flute begin to make sparse entrances with the playfulness one would expect in a nursery rhyme. This high-energy waltz is sure to have you feeling nostalgic about your childhood. It’s rare when an artist captures the wrenching feeling of heartbreak into one fine instrumental piece of music. On “Lilly’s Lullaby,” Strong does just that, crafting a beautiful melody around his ensemble who play with such power and sensitivity. Joey Calderazzo’s improvisation is a beautiful addition to an already piercingly honest work. 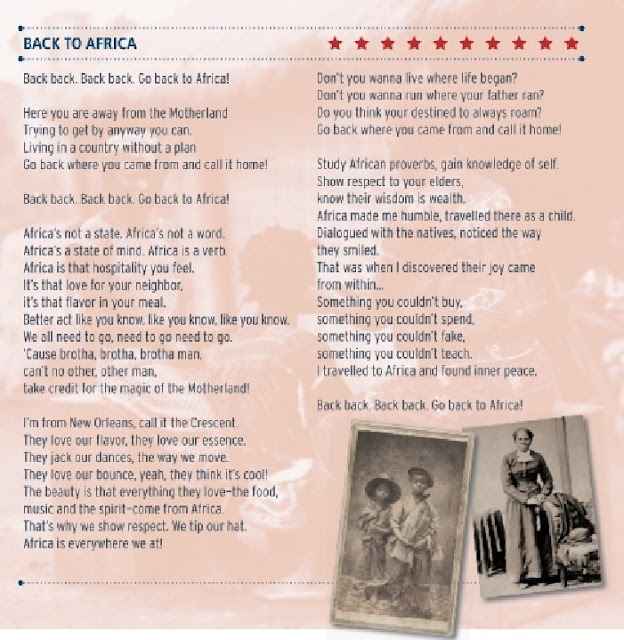 Original “Ci’s Blues” showcases LoveStrong’s down home roots. The solo guitar intro sets the stage for a wall of sound and collective improvisation. The sweet cries of Strong’s horn are indicative of the vocal inflections born out of the Black church experience. 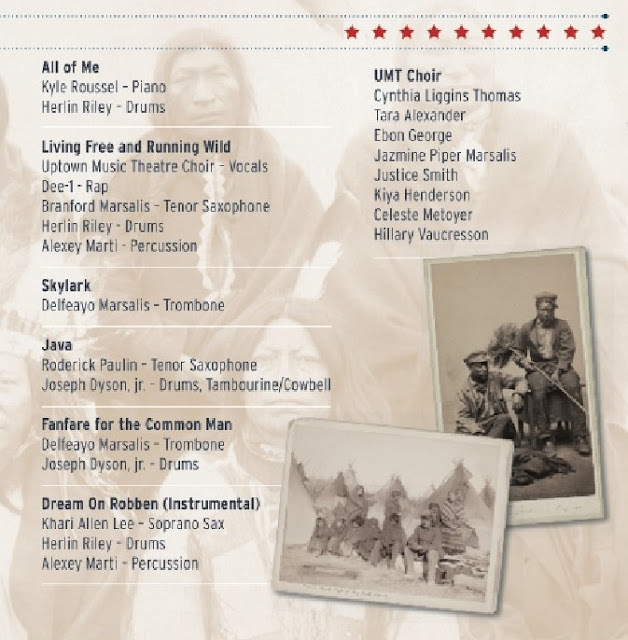 Strong’s arrangement of “My Favorite Things” is unlike what one would expect from a widely celebrated holiday favorite. Breaking away from tradition, this arrangement chooses to use the afro-beat style as its canvas. With time for the melody to breathe in between statements, Strong comes out blazing with a wildly amazing pair of sound effects on trumpet. 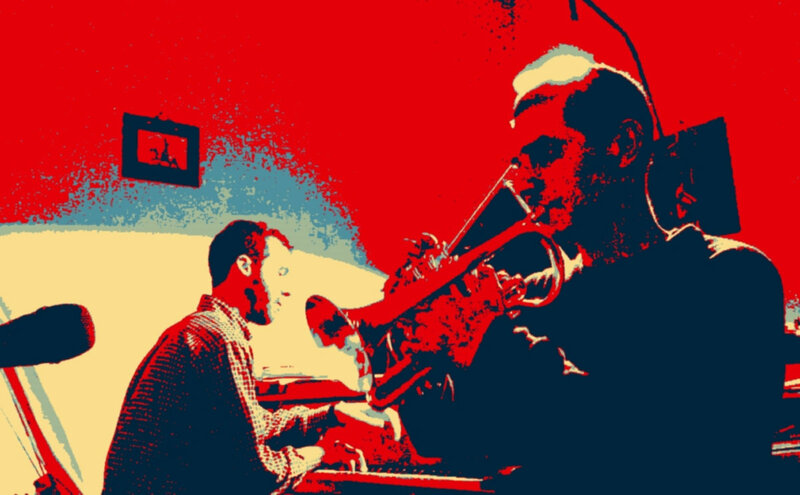 “Fond of You” is a lighthearted 3-horn original composition written to pay homage to Art Blakey. 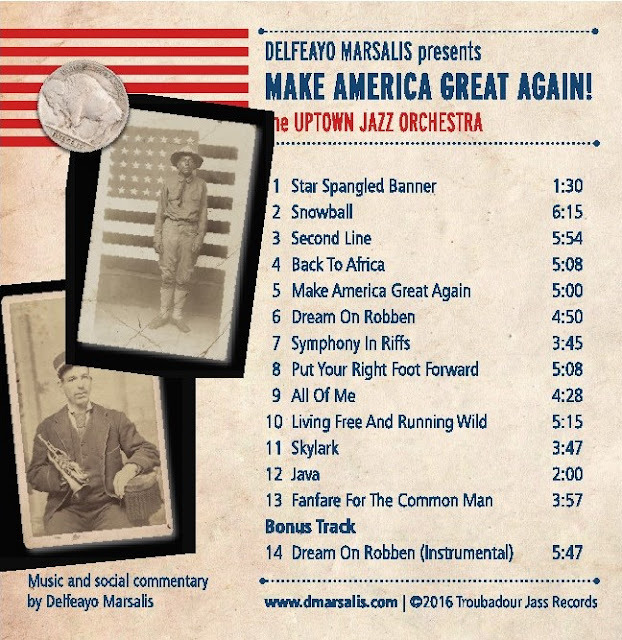 The song illustrates powerful playing from Strong and his ensemble as they look to a master for guidance on the true meaning of swing. Next LoveStrong Vol. 1 brings the listener’s mood back into a more intimate setting with “Liquid,” a soothing ballad that induces a sense of pure ecstasy. 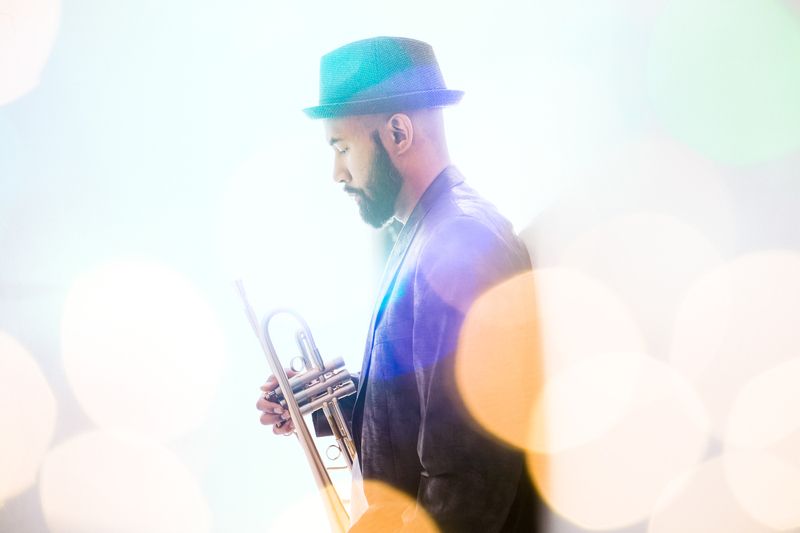 Strong’s classic flugelhorn intro quietly screams passionate fluidity, as the highs and lows of his horn resound with great affection. “Voyage,” the classic Kenny Baron jazz standard is treated with grace and adventure as this arrangement begins in a half-time rhumba style, only to later morph into a completely up-tempo, high energy-version, where the collective conversation determines the next direction. The listener can truly take the “voyage” with this ensemble. Strong showcases his harmon mute sound on the original tune, “Was.” This ballad gains its beauty not only from Strong’s masterful approach to phrasing, but also swooping acoustic guitar passages, and alluring Fender Rhodes work. 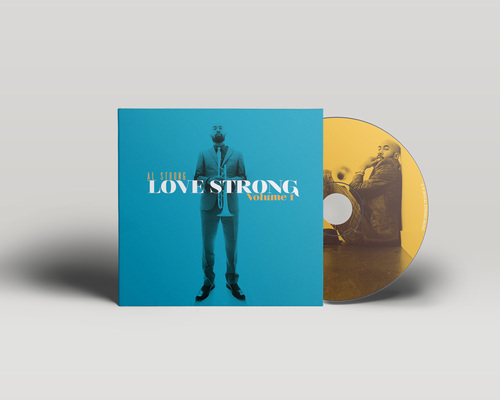 LoveStrong comes to a joyous close with the jazz standard, and album single, “Blue Monk.” This feel good arrangement promises to have you out of your seat and on the dance floor. 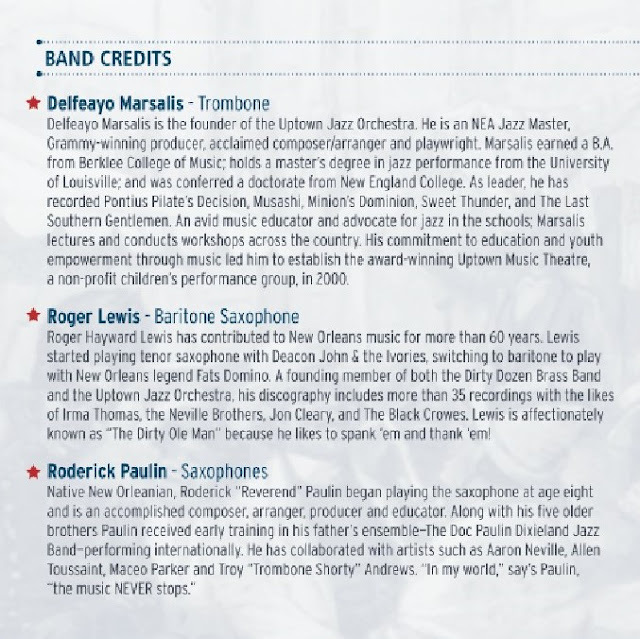 The intro begins with yet another bold guitar statement surrounded by a party atmosphere that is reminiscent of Marvin Gaye’s “What’s Going On?” Once the band jumps in, the party picks up even more with an array of New Orleans styled counterpoint between the baritone, alto, and tenor saxophones, and Strong leading the way. After the delivery of the melody, we find a tasteful solo section trading between piano and organ. The trumpet solo enters as patient as ever, until Strong climaxes with the rhythm section to close out his solo. Dueling saxophones have their say, as they converse on their instruments like old friends. Overall, LoveStrong Vol. 1 is an honest message about what is so desperately needed in today’s world: treating all mankind with kindness and love. 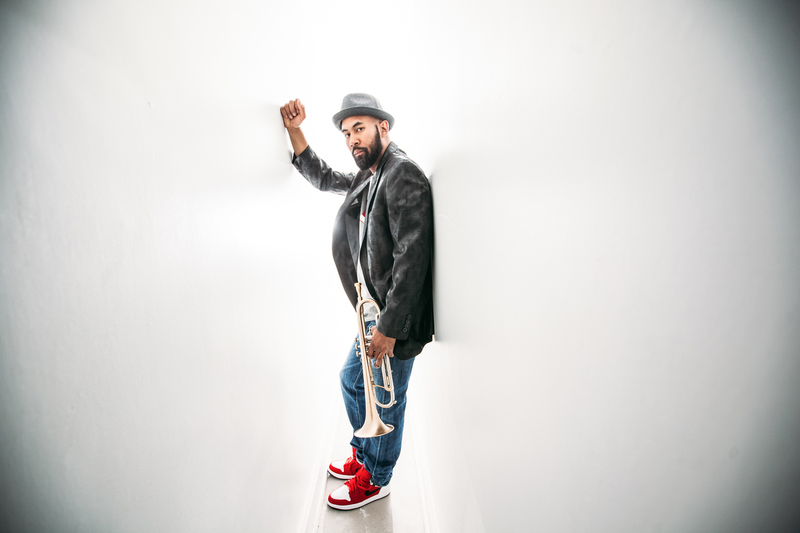 Strong achieves in his debut album what many artists spend their careers attempting to grasp, crafting a piece of work that is an inviting body of music to all, attracting everyone from new listeners of the genre to jazz aficionados. 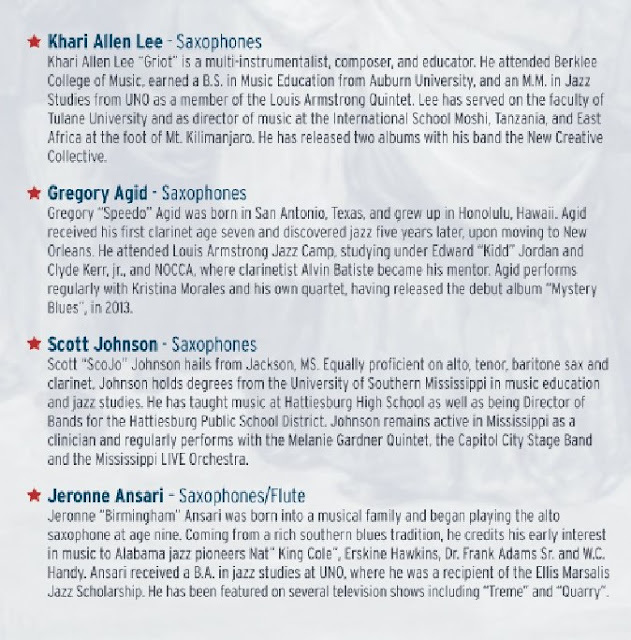 Listeners who have embraced the jazz genre since the time of “Bird” will hear both the lineage of tradition combined with a desire to push the boundaries, as did the great Charlie Parker. Unquestionably, LoveStrong Vol. 1 is sure to be a household favorite. Tracks 2 - 4, 6, 9 & 10 were recorded at Playground Studios in Durham, NC on February 6th & 7th 2014. Eyes and Ears: Ivan Hampden, Jr.
Alpiste surge de la vibración compartida de dos amigos que estimulados por las singularidades tímbricas que reúnen sus instrumentos (piano y corneta), y convocados por un recorrido de amistad y estudio formal de la música, deciden encausar estos afluentes en una propuesta que transita el jazz, el tango y la música académica. Ensayo grabado en la "casa de poder" el 31 de julio de 2016.